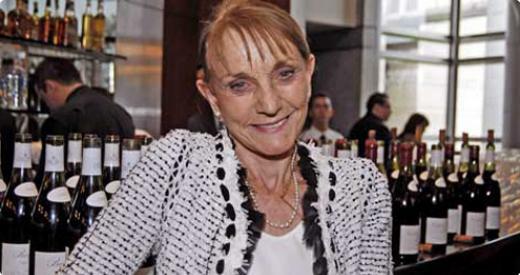 Lalou Bize-Leroy is often referred to as the Queen of Burgundy. She is a trailblazer who has been involved in the wine business since 1955. She joined her father in the negociant business when her father was running Domaine de la Romanee-Conti (DRC). She was co-manager of DRC until 1992 and since then she has focused on both her family’s negociant business as well as Domaine Leroy for which she is renowned. Bize-Leroy is a pioneer in many aspects: embracing biodynamic viticulture before it became trendy in Burgundy, adhering to very low yields, unique training and pruning policy and individual replantings. She relies more on intuition and listening to the land. 1. Which wine(s) are you most proud of and why? I am proud of all my wines since they are meeting my expectations more and more as time goes by, that is to say: They give us a more and more precise ways to learn the secrets of their land and their identity. This is of course if every year, we are attentive to the life of each vine – soil and plant – to better understand their lives, their “actions”, what they need, and their reactions following the care that we provide. 2. Among the wines mentioned above, describe one wine that you feel is the most reflective of your unique terroir/site? I have always researched this passionately, that is, a wine to reflect more and more faithfully its land. So I have no favorite wine, it can change, it changes every year. 3. Overall, are there more advantages or disadvantages in being a woman in your position (or is there no difference whether one is male/female)? I do not think being a woman changes something. One must love the vines, to be near them, think about them, communicate with them, that may perhaps result in becoming a better woman? It is only in this way that we can “teach” the vine, and perhaps give them a beginning of a consciousness – to give them the feeling of being loved. I am sure it applies to giving us beautiful grapes, tasty, real fruits of their land. It is these grapes, deconstructed during the fermentation by yeasts contained in the bloom of their skin, give wines that image of their land, and carries in them, etched in their flesh like stigma, the essential characteristics of their deep earth. 4. What drives or inspires you to be the best at what you do? 5. What does work-life balance mean to you? 6. If you could make wine in aother region in the world besides Napa, where would it be and why? It would be absolutely impossible to take care of the vines and wines elsewhere than Burgundy. I am like my vines, deeply rooted in this land.